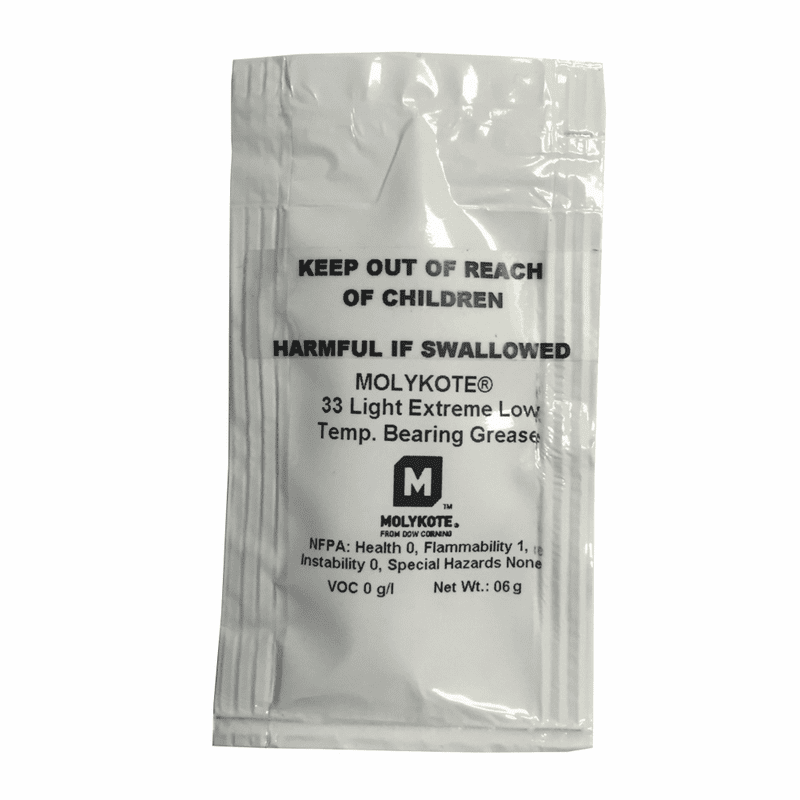 One 6 gram packet of Molykote 33 Light, extreme low temperature zipper grease. Preferred by YKK for the YKK zipper garage. Lubricating the YKK zipper teeth is not necessary. Seasonal lubricant conditioning is recommended. However, excessive use and/or extreme circumstances may require more frequent lubrication of your zipper. Each 6 gram packet is sufficient to lubricate and condition the zipper garage 10-15 times. NOTE: YKK zippers are already pre-lubricated.